By the end of this page, you’ll hopefully have a good understanding and grasp of SaaS Hosting. Alongside understanding how it works, you will also read about benefits, downsides and potential pitfalls to avoid, while opting in for SaaS plans. At the end of the page, I will also present you with three hand-picked hosting providers who are ideal for SaaS Hosting. Software as a Service (SaaS) is a model of software development and usage in which customers access the software remotely — usually through a web browser — and pay a recurring subscription fee. The bulk of computational service and data storage is done on the remote server, and the user does not typically need to load and install the software onto their own local computer (though there are exceptions to that). Long before anyone ever used the phrase “Software as a Service,” the practice of sharing remote computer resources was common. 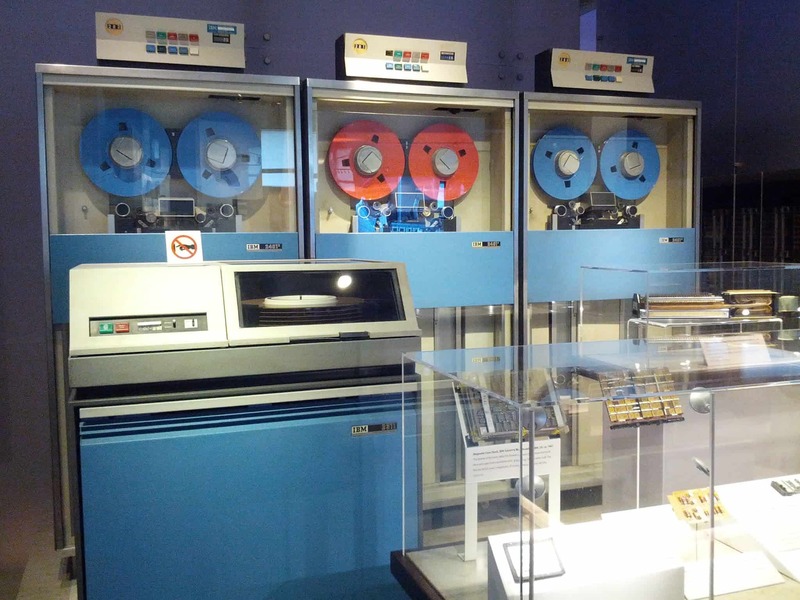 In the 1960s, before the advent of the desktop computer, small companies who needed access to computing power would rent time on the mainframes of larger companies and universities. Within companies that owned large mainframes, individual users would access the computer using a terminal or “thin client” at their desk or workstation. After desktop computers became common, this mode of software consumption diminished. By the 1980s and 90s, the dominant model of application use was the personal computer. This, of course, escalated at a higher rate within the coming years, taking over the computing industry. With the rise of the internet in the 90s, a semi-hybrid model of application distribution evolved. Software that required multiple users at multiple locations could use the internet to link several client applications to a server without having to build substantial infrastructure. These internet-enabled applications often continued to have robust desktop applications as well — partly out of developer habit, partly to reduce the load on the server, and partly to reduce the load on the network (this was before the days of the high-speed internet). Who's Best for SAAS Hosting? We think SiteGround is the best choice for SAAS. (Billed as $116.80 Per Month) ⓘPrices in are approximate, based on current exchange rates. The host will likely charge you in USD, or at a different exchange rate. Because modern web browsers adhere to standards, developers can build applications that work on all of them. They can build web apps that work like desktop apps without worrying about compatibility. It’s a far cry from the “browser wars” of the ’90s, where browser makers built features that only worked on their browsers. The days of “Best viewed with” are over. When AJAX apps first appeared in the ’00s, they blew web users’ minds by working in ways that only desktop applications had in the past. But technology becomes routine, and modern users expect feature-rich websites. The rise of social media alongside AJAX also conditioned users to want apps to connect to each other. They want to integrate their work with their Twitter, Facebook, and LinkedIn profiles. The rise of web apps was sandwiched in between the dot-com bust and the 2007-08 financial crisis. Businesses grew wary of huge capital expenditures, including software. Web-based apps were much cheaper than traditional desktop apps. These cost savings attracted enterprise and small businesses to web apps. The drive for cost savings in the wake of the financial crisis caused companies to take advantage of improvements in connectivity by allowing more remote work. Instead of flying out to meetings, people connected over the internet. These new remote workers needed a way to access company resources wherever they were. Web apps proved useful. These apps were so successful that they allowed some companies to be run completely by remote workers. These habits stuck even after the economy recovered. These factors – and many more besides – have led to huge growth in the SaaS sector, fueling the current startup boom and fundamentally changing how business thinks about software consumption. Cloud computing is the delivery of services, including software and storage, over the internet. Companies that offer cloud computing are referred to as cloud providers. They charge customers based on the resources they are using. For example, web hosting companies are cloud providers. Cloud computing is involved in almost anything done online. Anything that has to do with data storage, web hosting, video streaming, data analysis, and app creation is cloud computing. In fact, you use cloud computing when you watch videos online or send e-mails. SaaS is just one of the types of cloud services. Another one of these is called PaaS. PaaS stands for Platform as a Service. This is a cloud computing model where a third party provides hardware and software tools. PaaS providers have their own infrastructure to host the software and make it available to users on the internet. Using PaaS requires users to do more work than with SaaS. PaaS is typically used by developers to build software. Then they can offer their built applications as SaaS. Software vendors typically use PaaS to develop and deploy their applications as SaaS. There are three different ways that cloud computing services can be deployed. These are public cloud, private cloud, and hybrid. Public cloud computing involves the operation and ownership of the cloud computing environment by a third-party cloud service provider. For example, these companies may own servers or storage space which they make accessible to their customers over the internet. Private cloud computing is when these resources are used by one single business. A business owns and operates their own cloud service. They can either have their own datacenter for providing this or host their private cloud in a third-party service provider. Hybrid clouds are simply a combination of private and public. A lot of SaaS applications are for general purposes like office applications or file storage. Microsoft Office is a great example of a general purpose application. Since SaaS allows small businesses and start-ups to develop and sell software without software licensing and in-house servers, SaaS is a popular option for them. But many big companies are also offering SaaS solutions. For example, Microsoft Office 365 is a SaaS. This cloud-based app lets people create, edit, and share content from any device via the cloud, instead of working and using storage space directly on their devices. A similar idea comes from Google Drive and Dropbox, applications that allow people to access files stored in the cloud from any device. There are countless other SaaS programs that exist. SaaS is a great option for many different software types. For example, SaaS is typically used in applications for marketing, project management, accounting and billing, e-commerce, and customer relationship management. Slack – a brilliant team software. Some software is developed to serve a specific purpose, like managing employee performance reviews. Other software is designed for connecting teams in a collaborative environment like Slack and Google Drive. One of the biggest markets for SaaS right now is enterprise resource planning (ERP) software. ERP is a combination of all of the processes necessary for running a business. These include inventory and order management, customer relationship management, accounting, and human resources. ERP software streamlines these processes and helps organizations keep track of all of these aspects. As compared with the “conventional” model of software distribution — providing physical or downloadable copies of software for users to install on their own computers — the Software as a Service model has several advantages. SaaS offers much lower upfront costs than with conventional software packages. Companies don’t have to pay for expensive site licenses. If they want to use a SaaS application, they just sign up. If they don’t need it anymore, they just cancel. Because of the lower overhead (no client copies to install), SaaS providers can offer lower per-seat costs compared to standard enterprise applications. This makes it cheaper per user than conventional applications. When a new employee joins an organization using a SaaS application, it’s easy to get them set up. All they have to do is add an account for the user in the application, and they’re good to go. Since there’s nothing to install on the client end and everything’s run on a central server, there’s less for an IT department to manage compared to standard enterprise software. A SaaS app lives on the server. This means everyone can access it wherever they happen to be. SaaS apps appeal to companies that employ a lot of remote workers using their own machines. For this reason, communications software like Slack is very popular with these companies. Since a SaaS app is centrally managed, it’s easy to incorporate social media. Users might want to use an existing social media account to sign up. Many SaaS apps can do that. SaaS has a lot of appeal to businesses. The main advantage is the simplified cost structure. All they have to do is fill in a few details in an online form and they instantly have access to powerful business applications. The SaaS model is cheaper than paying for on-site IT infrastructure. Smaller businesses like these apps because they don’t have to invest in their own servers. SaaS applications’ main selling point is simplicity. Since they don’t require client software, it’s easy to onboard new employees. All a company has to do is create a new user account. Because SaaS applications are located on a central server, SaaS has a lot of appeal to companies that do a lot of work with remote employees. We know from experience. WIHT, with its writers and editors scattered across the globe, makes heavy use of SaaS tools to keep track of what needs to be done. Because developers can target web standards, they don’t have to worry about client OS compatibility. Due to the software lives in one place, it’s easier to manage dependencies. All of the components of an application are managed by the provider. There’s no client software to install. The application is used over the web browser. Some applications make desktop versions available anyway. Not having to deal with installation is a definite time and stress saver. Because there’s nothing to install, customers are more willing to try SaaS applications. Many developers offer a trial so potential clients can see how well an application works before they commit to it. One major advantage of SaaS is that vendors have a predictable revenue stream. Customers buy a monthly or yearly contract and if they want to keep using the software, they have to pay for it. They can’t hold onto an older version as with Microsoft Office. This is one reason that Microsoft moved its own Office business model to the cloud with Office 365. Vendors only have to push out their software to a single server. It doesn’t matter what operating system the client is running. SaaS providers can support Windows, Mac, Linux, and mobile devices simply by writing standards-compliant web apps. With only one app on the server, there are no client upgrades. Just push out the latest version onto the production server, and your users have it when they log in. There’s only one server to deploy, which makes managing deployments simple. If your app is popular, you may need multiple load-balanced servers and a CDN to handle the traffic. Smaller apps can make do with simpler deployments. With a central server and no client upgrades, the per-user marginal cost is minimal. The low marginal cost of each customer and the relative ease of moving between one type of plan and another. This makes a “freemium” business model viable. The helps spur growth, as it reduces the risk to purchase. As great as SaaS is, it’s not without its drawbacks. The necessity of server management. Since data customer data is being regularly transmitted over the internet, and stored by the development team, security is extremely important. Some people have fundamental issues with third-party data management and computing altogether – either because of specific legal requirements (common in working for the U.S. federal government) or because of philosophical reasons. Since the entire application is on the server, there’s no physical copy of a program to install. For some people, this is a feature. In other situations, this might be a disadvantage. Not owning a physical copy of the software makes you reliant on the ongoing viability of the company and their ongoing support of the product. Some popular SaaS apps offer desktop clients for those who want them. Another major concern is the need to manage servers. Desktop applications can still function, but web applications can’t be used if there’s a server outage. Outages can still happen when a company makes a best effort to avoid them. Accessing software online from a remote datacenter brings up performance concerns when compared to software on a local machine. If there’s a bottleneck in the server or the internet connection between a user and the application, it can cause slow response times. Your servers can have outages sometimes. If your server goes down, your customers can’t access your app. For developers of SaaS applications, the hosting and server management required to keep near-100% uptime is a critical part of the business and IT planning. Many – perhaps most – developers of Software as Service applications do not directly run and manage their own servers. This is particularly true of startup SaaS businesses, for whom the capital investment simply doesn’t make any sense. This allows them to concentrate on their core business while leaving the hosting and server management to experts dedicated to providing an excellent service. This is why Virtual Private Server (VPS) plans are the preferred choice for SaaS hosting solutions. VPS plans give you much more resources than is allotted to you in shared hosting plans. Although many shared hosting includes unlimited bandwidth and disk space, companies will still limit your use of these resources to that of small websites. This is because you share the resources with other accounts on the same server and therefore take up their resources if you used too much. This makes shared plans unsuitable or SaaS applications. VPS, unlike dedicated servers, are usually fully-managed. This means that you can have many of the benefits of a dedicated server without needing to worry about server management. But with VPS plans you still usually get root access to your server. This means you can take control of the server and resources if you want to. VPSs are often very scalable. This means you can quickly add more resources to your hosting account when you experience more traffic, or your application is expanding. Managed cloud hosting can be found from almost any web hosting provider. One of the most important things you want to look for is high SLAs, or service level agreements. These will let you know what kind of uptime they can guarantee you on their VPS plans. Since SaaS applications live online, any minute of downtime can have huge costs to your business. You can find some hosting companies that offer 100% uptimes. Even uptimes of 99.98% are pretty decent. You’ll also want to find a company that has a strong customer support team. If anything goes wrong with your hosting environment, you need the problem fixed as soon as possible. A bare minimum is quick replies to support tickets sent from your control panel. Even better is 24/7 live phone support or a dedicated support member assigned to you. Also, ensure that your hosting provider allows you to perform regular back-ups and that you can easily recover from these back-ups as quickly as possible. Before we jump to our three winners in terms of best-hosting providers, here is the last summary of the pros and cons of SaaS Hosting. Here are some of the best hosting providers for those wanting to host SaaS applications. They are all notoriously trusted brands, so you’re in good hands. Our top pick for SaaS cloud hosting is Siteground. Their VPS cloud servers are based on super-fast SSD architecture that is fully configured and managed for you. They also perform automatic daily backups of your account to disaster-proof your applications. You can make your own pick out of five data centers, adding a CDN to your account for increased loading speed. Their support team is another good reason to consider SiteGround. There is no hold time on phone and live chat, and the reply to support tickets in less than 10 minutes. For cheaper VPS plans than SiteGround, check out Hostgator. They provide full root access and instant scaling of resources with one click. Their plans also include a powerful script installer which lets you install custom scripts or applications. Though, they only provide weekly backups, not daily as SiteGround does. Though, HostGator does give you advanced network reliability with redundant power and several bandwidth providers. For 100% uptime guarantee, we have to give LiquidWeb a spot on our winner’s list. Their VPS plans will set you back a little more in terms of cost. But for this, you get a huge amount of disk space and bandwidth, as well as the security of zero downtime. The servers are fully managed and include DDoS attack protection, advanced security, and an integrated firewall. You get both full root access and cPanel control. What is a third-party SaaS provider? SaaS stands for Software as a Server. It’s a business model in which you pay for software, such as a blogging application, and the provider of that software maintains the software for you. In some cases, the software may be provided for free, with a for-cost option also available. One of the most popular SaaS providers today is WordPress. You can host your blog, or even an entire website, on WordPress’s site for free. For an added cost, you can even use your own domain. What limitations are there with using a SaaS instead of self-hosting features? In most cases, SaaS providers offer fewer customization options and add-on features than self-hosted alternatives. Additionally, If you are using your hosting plan for your website and a SaaS for your blog or other feature, visitors will be required to leave you site in order to access that feature.